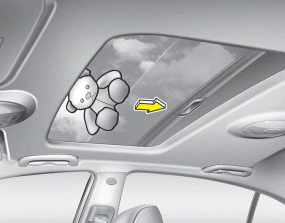 To open or close the sunroof completely even when the lever is released (auto slide feature), pull or push the sunroof control lever backward or forward to the second detent position. The sunroof will slide all the way open or closed. 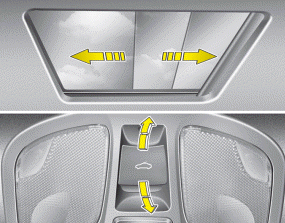 To stop the sunroof sliding at any point, pull or push the sunroof control lever momentarily in the opposite direction of sunroof movement.